AARRC will be representing with info about the River Arts District Transportation Project & the Riverside Drive Strategic Planning process.... do join us! 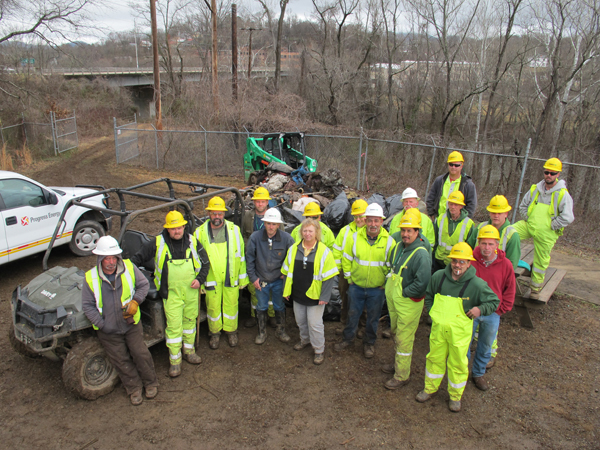 Progress/Duke Energy did their part today, for the French Broad River, by asking Betty Light, tree crew supervisor for Progress, to bring her local (haywood county) crew from Davey Tree Company to pick up litter along the west bank of the French Broad River. 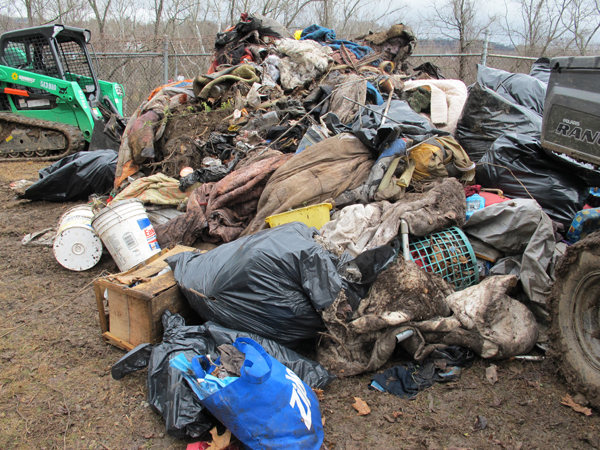 With the help of a couple of front end loaders, a mountain of trash has been removed. The River Arts District says THANK YOU to this rather large assembly of hands, making quick work, for the benefit of our entire community. 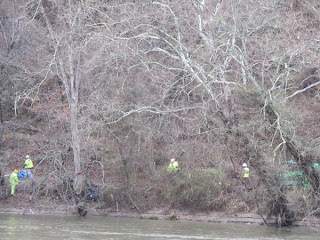 Work began Monday, Feb. 11 on the demolition of the Ice House building located at 91 Riverside Drive in Asheville’s River Arts District. The dilapidated property was purchased by the City of Asheville in November, and Asheville City Council approved the demolition in early January. The demolition project is expected to take two to three weeks to complete. Special attention is being paid to recycling all materials that can be recycled. 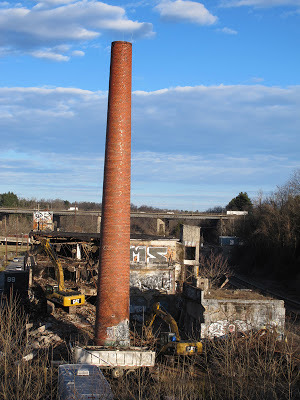 The property’s prominent smokestack will be preserved. 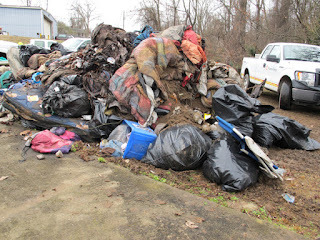 Updates on the project will be posted at ashevillenc.gov on the City Projects page. 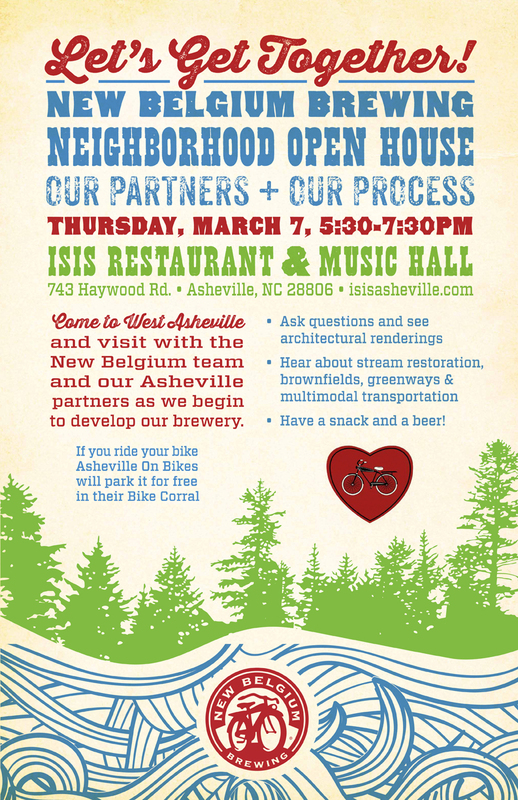 Please join Asheville on Bikes for their Bike Love '13 celebration and be sure to stop by the AARRC presentation with Stephanie Monson, to learn about the River Arts District Transportation Improvement Plan, on Saturday, February 23, 2013 @ Isis Music Hall @ 743 Haywood Road in West Asheville. 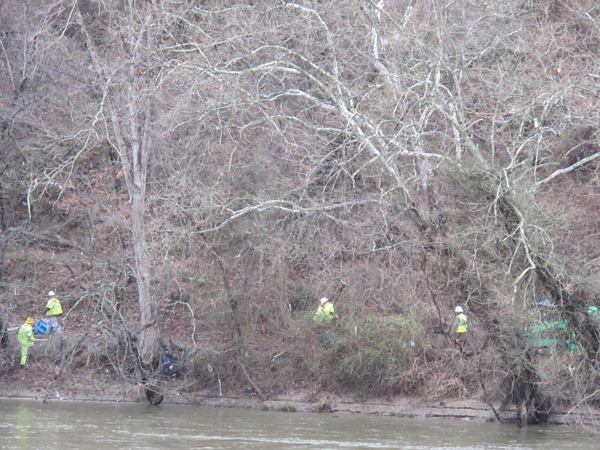 Get your learning on about all things multi-modal! 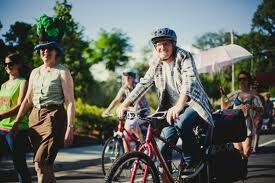 thanks to www.openasheville.org for the photo of the Clingman Circle Celebration featuring Susan Roderick from Asheville Greenworks & Mike Sule from Asheville On Bikes!